Steve assures Amy that if she wants to cancel her termination and look at other options, he’ll support her. Amy’s touched. Despite her reservations, Tracy agrees that Steve’s right and only Amy can decide the baby’s future. Tyrone’s frosty and Evelyn detects something is wrong. As she readies to leave for her holiday, Tyrone reveals that James told him she abandoned him as a baby not his mum. Sporting a black eye, a downcast Seb explains to Gary that it’s the twins’ adoption hearing tomorrow but without a full time job he’s little chance of success. Feeling guilty, Sarah suggests Adam could make amends by representing Seb at the hearing for free. 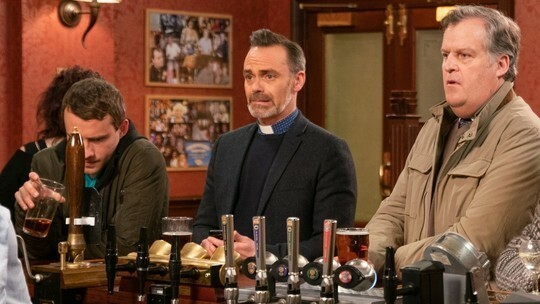 Elsewhere As David and Nick head to the new barber shop premises to draw up some plans, Audrey offers to cast her expert eye over them but David and Nick refuse, leaving Shona puzzled. At Peter’s request Abi takes a look at his boat engine and agrees to fix it. Steve tells Tracy that he’s had an idea which might be the best option for all concerned. Steve and Tracy reveal their plan to Amy, suggesting they will raise the baby as their own. How will Amy react? As David and Nick discuss plans for the barbers, Sarah offers Gary’s services for the shop fit. Elsewhere Adam apologises to Seb for punching him and urged on by Sarah, offers to represent him at the adoption hearing free of charge. Seb’s taken aback but delighted. Realising she has little choice, Evelyn tells Tyrone the whole sorry story of his birth, how his mother Cassie was a drug addict and she left him on the steps of a police station thinking it was the kindest thing to do. Revealing how sorry she is, Evelyn insists she never stopped thinking about him and wants to be a part of his life. Hurt and upset how will Tyrone respond? Elsewhere Abi’s chuffed when Peter offers her a full time job working on his boat. Over a mug of tea the pair compare their chequered pasts. 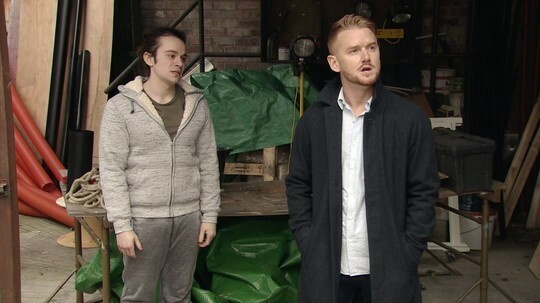 Abi and Eileen call at the yard and do their best to talk Seb out of his mission to adopt the twins. Seb’s furious and as their row escalates, none of them notices Gary arrive with a prospective client. Unimpressed he tells Gary he’s taking his business elsewhere. Gary tells Seb he’s fired. Desperate, Seb has an ultimatum for Sarah. Liz warns Steve and Tracy that adopting Amy’s baby is a huge commitment. How will Amy feel? Tyrone bitterly tells Evelyn to enjoy her holiday and not to bother coming back. Evelyn begs Roy to speak to him. 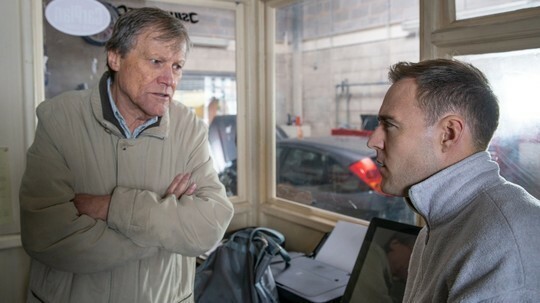 Roy warns Tyrone not to turn his back on his grandmother, admitting how much he regrets his fractured relationship with Sylvia. Elsewhere As a loved up Chesney and Emma head out, Gemma watches with a pang of jealousy. Seb attends the twins’ hearing, lying that he’s got a full time job and the backing of Eileen. 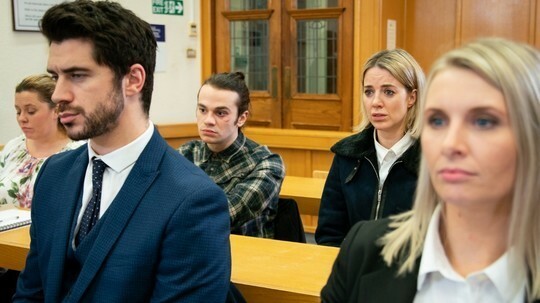 Abi tells the court that while it breaks her heart, she wants the twins to remain with their foster parents as Seb is lying about his situation. How will the court rule? Noting how upset she is, Peter takes Abi back to his boat where he comforts her and they end up kissing passionately. Steve and Tracy blame themselves for Amy’s predicament, aware that with their selfish. Peter finds Abi working on the boat and she explains she needs to be busy as it keeps her out of trouble. When she asks Peter about his relationship with Carla he insists they are just friends and kisses Abi. 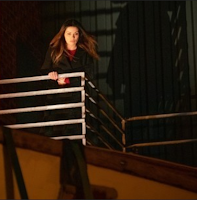 Leaving the factory Carla spots a light on the boat and heads over, what will she find? Nick tells Roy that Carla is skipping meals and working too hard. Michelle is shocked when Carla is rude and distracted with an old client over lunch and tells her she is becoming a workaholic. 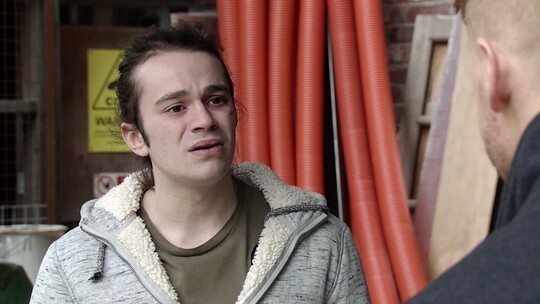 An angry Seb turns on Gary for sacking him when he needed the job most and he tells Gary that Sarah spent the evening at Adam’s flat. What will Gary say? Paul offers to help Billy sort out the donations for the church bring and buy sale. Rita says she has heard from Norris, he is going travelling with Emily and Freda and wants to sell the Kabin. Friday 1st February 2019 - WHO DOES PETER REALLY WANT ON BOARD? 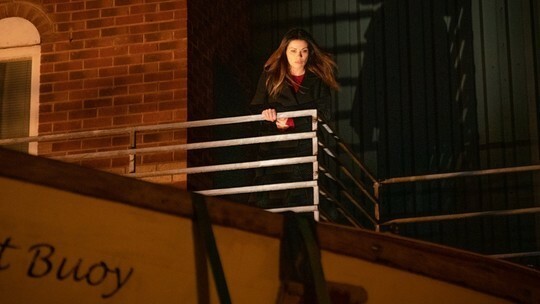 Peter sees Carla going into the factory and tells Abi that it is too cold to spend the night on the boat. Peter goes after Carla and they talk about their relationship, Peter moves in for a kiss, how will Carla respond? Billy takes Paul for a drink to thank him for his help. When Billy gets a message that Summer has lost her ipad Gemma immediately and publicly accuses Paul of stealing it. She confides in Chesney and Emma that Paul took the rap for some things she has done in her past and has never let her forget it. Meanwhile finishing off sorting out the bring and buy donations Paul spots a ring box donated by Roy. Rita tells Jenny to pull herself together, put on her warpaint and face her customers. Jenny needs drop of dutch courage before entering the bar. Meanwhile, Daniel finds Adam with his bags packed. Adam explains that he needs a change of scenery and he’s going travelling for a couple of months. 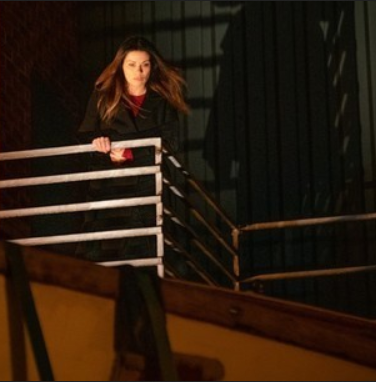 As Adam leaves in a taxi, Sarah watches a mixture of relief and regret.